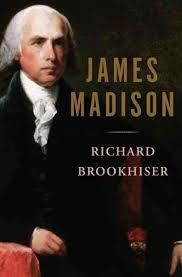 Prolific writer Richard Brookhiser tackles President James Madison in this short biography. Though the writing skills I have come to respect in Brookhiser are present, this volume is not quite as good as the others of his that I have read. 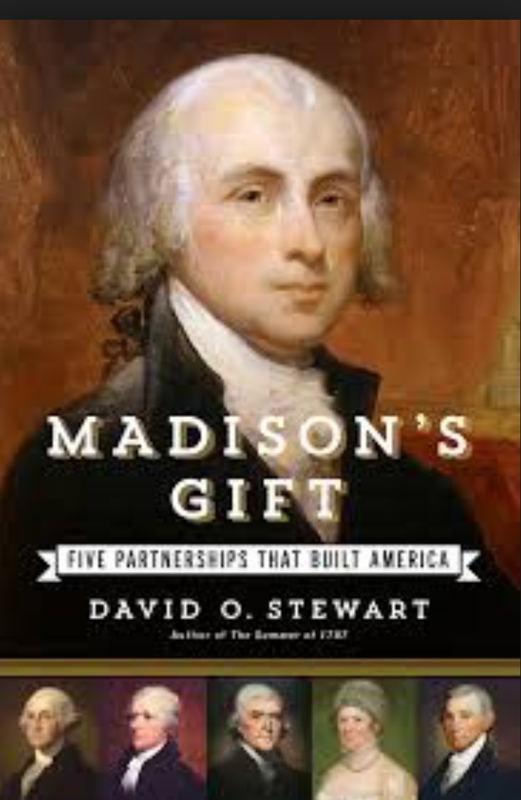 As a biography, I did not think it was as good as David Stewart’s “Madison’s Gift” either. The book begins with a riveting retelling of the British marching on Washington during his time as President. Then, it backed up and took the story chronologically. When you finally got back to that point of his life’s story, you could never figure out what device the author had in mind by opening the book with it. I thought of it as a missed opportunity. Still, the prose is agreeable and the reading easy in this volume. While the biography is not standout, his premise that Madison brought us the partisan politics that since has defined us was much more successful. Some think he overstated his case, and surely Jefferson had a role, but he was an essential element as Brookhiser proves. This is not my first choice for Madison, but still a fine read. Find all others in this presidential series here. Instead of a cradle-to-grave standard biography, Mr. Stewart gives us his life through the lens of the five key relationships of his life. In that every life is probably partially defined by our five closest relationships, this volume succeeds in bringing Madison alive. His relationship with Washington was interesting in that he would have been considered Washington’s protege, but that relationship changed as Washington focused on holding the Union together while Madison increasingly focused on the political party he helped form. The writing here is so good you find yourself sad that the relationship was what it was by Washington’s death. With Alexander Hamilton, you are shocked again as you read of their close association, common goals, and joint writing of The Federalist Papers giving way to being key leaders of rival parties. Jefferson and Madison were soul mates and of equal intellectual powers. You will read of the unwavering friendship where Madison always gladly deferred to Jefferson. The most shocking aspect of his relationship with James Monroe is how often they had a falling out only to be great friends again. With Dolley, he found the perfect wife for what he did with his life. Though he married late, you will see how well she complemented his work. I thought this approach to Madison would be a chronological nightmare for the reader, but Mr. Stewart’s writing washed that fear away. I feel I know a lot more about what made Madison tick and must rate this volume a winner! Be looking for a post on presidential biographies coming soon.